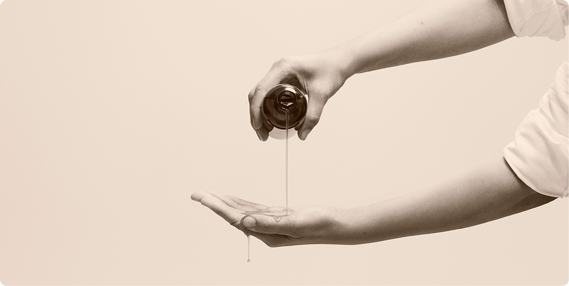 Aesop’s facial appointment is a handwritten letter of care to the skin and self. “Touch has a memory,” says English romantic poet, John Keats. First launched in 2005, Aesop’s six distinctive facial treatments take into consideration the relationship between mind, senses and skin as part of an abstract skincare prescription. Established in 1987, Melbourne’s hipster skincare export is well composed. The objective has always been to formulate products of the finest quality for the skin, hair and body. Facial Appointments, conducted in the aromatic calm of thoughtfully designed treatment spaces, are a handwritten letter of care to the skin and self. Situated at the top floor of Tangs department store, this is Aesop’s only facial treatment room currently available in Singapore. Gender neutral, it is decked in veranda green. Both men and women can luxuriate in an oasis of calm in solitude. Prior to the treatment, an Aesop Trained Facial Therapist performs a tailored consultation to understand the customer’s aims, discuss specific skin concerns, and determine the customised treatment best suited. My verdict: an intensive, ascorbic action treatment to liven up patchy, congested and dull complexion. Executed via massage with an application of custom-blended Vitamin C facial serum, this would deliver potent concentrated doses of antioxidants, Vitamin E and stabilised Vitamin C at a low pH, for continued absorption into the skin. Ushered into the scented treatment space, I changed into a simple, brown traditional Asian sarong. Hot oriental tea is served in fine bone China to calm the nerves. I climb into the facial bed, adjustable according to one’s unique body ergonomics. Like clockwork, I am tucked under a furry throw. The hot, fluffy bedding keeps me toasty. A full sensorial experience begins. The Aesop Facial Therapist applies an attentive amount of pressure to the face in rhythmic motions. Each stroke and gesture prepares the surface to receive generous doses of active ingredients from concentrated Aesop formulations. Of the highest quality, these are specially created just for facials by an in-house laboratory. A few minutes into the treatment, subtle rhythms and patterns of touch emerge. I drift into a state of relaxation. The music is out of the ordinary. With gypsy jazz humming in the background, I imagine traipsing down the streets of Paris, eyes closed, wandering in the French summer. These exacting intentions, as well as a considered approach to the invigorating qualities of scent and sound, are restorative in nature. Built on a passion for botanicals, they are tailored to balance, stimulate and intensely nourish the skin. Aesop’s facial appointment is avant-garde. Stirring, intriguing and evocative, the treatments place a strong emphasis on smell. Essential oils are cleverly curated to foster an environment for lasting, scentful impressions. Coupled with soothing bedside manners, this is an efficacious way to sample Aesop’s skincare solutions. The purifying facial exfoliant paste, a cream-based exfoliating formula suited to most skin types, sloughs away tired surface skin with an earthy, lavender aroma. The purifying cream cleanser, a mild cream cleanser ideal for frequent travellers, carefully clarifies to leave skin purified and polished. With a floral, herbaceous aroma, the gentle, everyday B & Tea Balancing Toner refines pores while preparing the skin for subsequent hydration. While purifying botanicals in the astringent Chamomile Concentrate Anti-Blemish Masque lifts impurities, dry excess oil and calms inflamed skin. Skin is the largest organ of the body. The importance of having clear facial skin permeates every aspect of our lives – work, travel and love. To ensure a well-rounded skin care regimen, Aesop Facial Appointments are recommended every four to six weeks. Treatments are suitable for both men and women. Facial Appointments are available at 60 or 75 minutes. To make a reservation or to address queries, you are kindly invited to speak with a consultant, or visit https://www.aesop.com/sg/facialappointments. On offer at select Aesop locations.